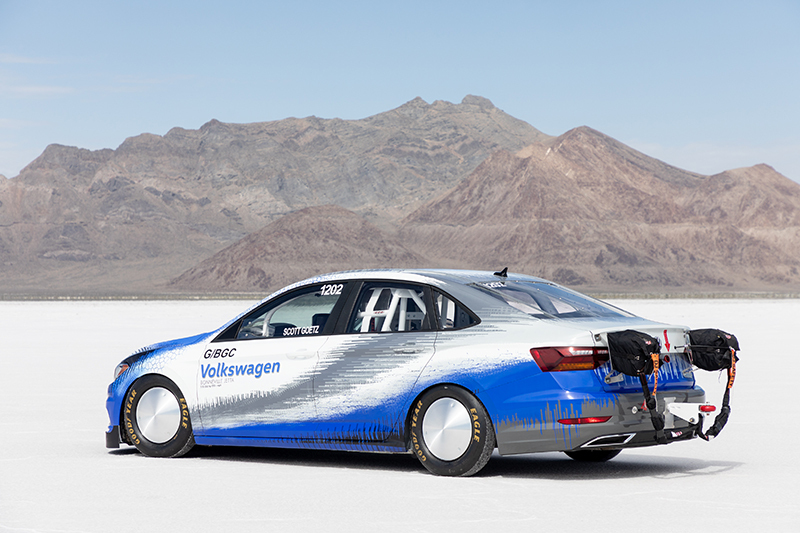 A uniquely modified 2019 Volkswagen Jetta just set a new land speed record at the Bonneville Salt Flats after reaching a top speed of 210.16 miles per hour, the German automaker confirmed Tuesday. The Bonneville Salt Flats area in Nevada is well known for being the go-to testing area for land speed records in the United States. 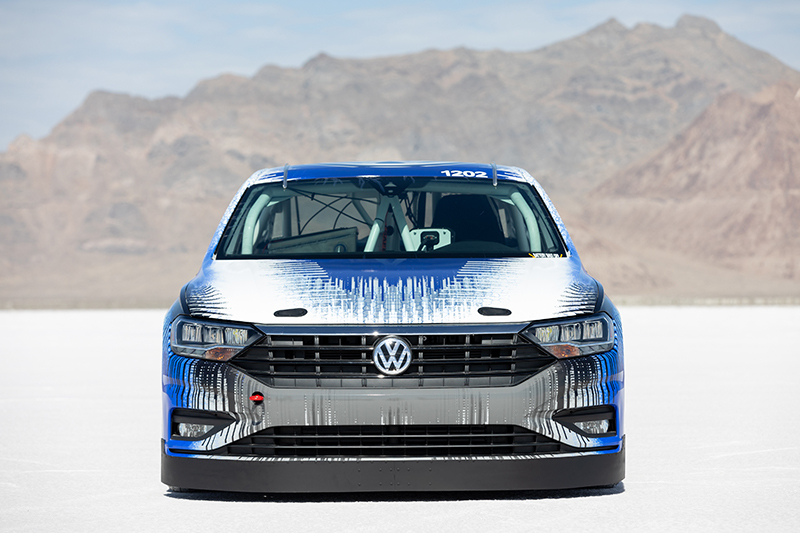 Several months ago, Volkswagen commissioned the building of a special 2019 Volkswagen Jetta to set a new land speed record at the Flats from THR Manufacturing, a company located in Ventura, California that's known for preparing vehicles for high-speed runs. The goal was to showcase VW's notorious EA888 turbocharged four-cylinder motor, used in a plethora of models in North America, as well as the aerodynamics of the facelifted Jetta. In order to achieve such top speed, the entire vehicle had to be modified. The powerplant was first in line, receiving upgrades to the engine's internals (which include rods, pistons, camshafts, and valves), turbocharger, and exhaust in order to produce 600 horsepower at a high-revving 8,500 rpm. This shattered the original goal of 450 horsepower that Mark Gillies, Volkswagen's senior manager of product and technology, once told The Drive that the automaker was aiming for. 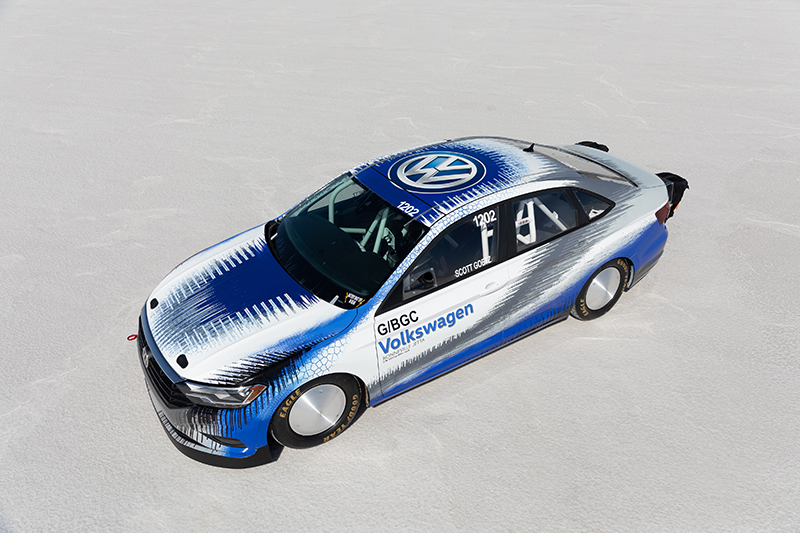 Next, the Jetta was fitted with bespoke wheels, Goodyear tires, a limited-slip differential, and lowered suspension. 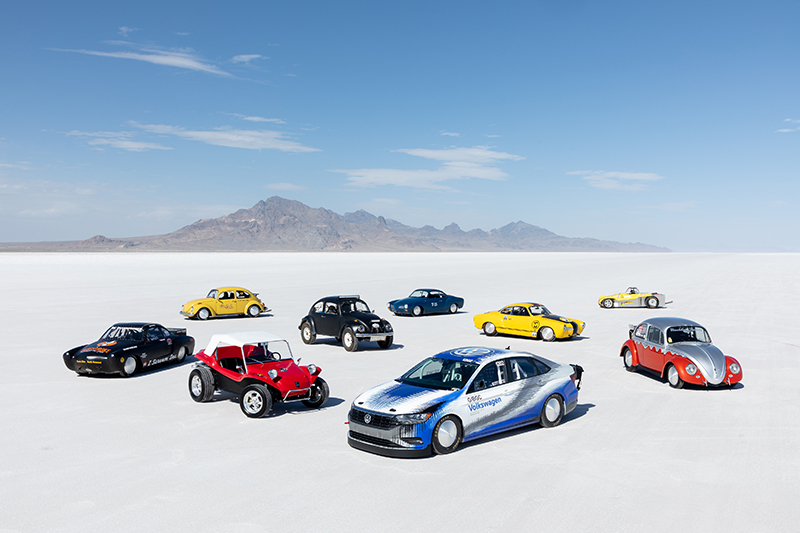 Additionally, other changes were needed in order to further strengthen the run and increase safety for the driver, Scott Goetz, a veteran racer of the Salt Flats. THR installed a roll cage, racing seat, harness, and fire suppression to ensure that the vehicle would be safe should an accident occur. After piloting the car, Goetz noted that the platform "inspired a lot of confidence" when traveling at the high speeds. 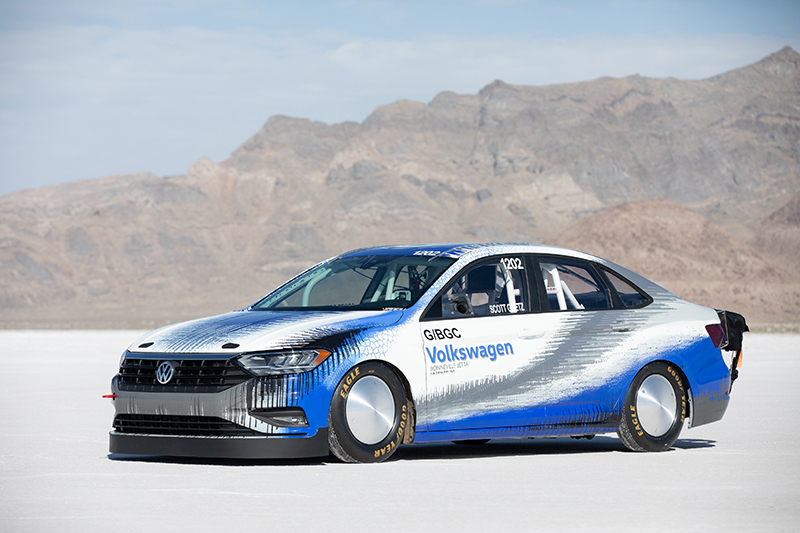 Upon reaching its final speed of 210.16 miles per hour, the 2019 Jetta broke the existing record of 208.472 miles per hour in the Southern California Timing Association’s (SCTA) Blown Gas Coupe class. The Jetta has received many updates through the years. But in some cases the more things change, the more they stay the same.